Mortgagee Title is a reliable, steadfast, uncompromised, and relentless title search company in Orlando, FL. As a leader in Orlando-area real estate services, our incredible staff has the connections and the trust of a wide-ride range of professionals in the community. We are a known name and quantifiable brand. Our motto, “Simply the Best,” is no mere boast, but an expression of our confidence and reputation as an established real estate service team that has been in place before the Space Shuttle even launched over the blue seas to our east. Count on our expertise and services for your residential real estate closing. We are available to answer all of your questions about the closing process in general or give information about your personal transaction. Our competent closing agents will know the status of your closing at any time, keeping you informed every step of the way. 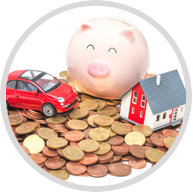 We will handle your transaction from start to finish from the initial title search to the final closing. Expect attentiveness when it comes to our services. Our professionals will work behind the scenes to search the title, determine pro-rata expenses, and follow up on any special instructions that may be spelled out in the purchase agreement. We are an impartial party to your transaction and are there to provide information and make the closing process go smoothly. Commercial real estate closing is a more complicated process which is why it is advised that you rely on the services of our experienced closing agents. Commercial properties involve more parties looking to generate a profit, and in the case of apartment buildings, there are tenants to consider. Commercial real estate includes office buildings, hotels, warehouses, and vacant land that could be owned by multiple parties. Our title search company works persistently to ensure that the title to your piece of real estate is legitimate. Our purpose is to verify your right to transfer the ownership of your property. A title search will determine the legal owner of the property, reveal any mortgages, liens, judgments, or unpaid taxes that will have to be cleared before the property can be sold. Guarantee that your property is ready to sell by utilizing the resource and skill of our expert title agents. 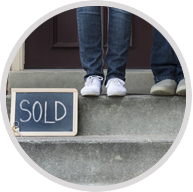 Contact our company today to speak to a knowledgeable closing agent. 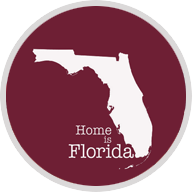 We proudly serve Orlando, Florida and the surrounding area. We look forward to continuing to grow along with our community. 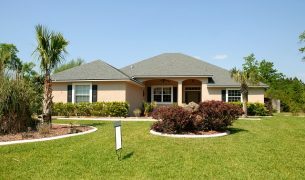 If you are in need of Orlando closing services, please call us at 407-843-4000. Trust in our REALTOR® to handle your property. We pride ourselves on integrity and excellence. We continue to educate ourselves so that we can provide our clients with the best possible closing experience. From the most basic to the most sophisticated residential or commercial transactions in real estate, let Mortgagee Title show you why customers continually turn to us for the reliability, responsiveness, and security they need. Our company is not merely a business, but a family of professionals dedicated to the highest qualities of service and standards. There is not a need we won’t seek to fill, and not a moment we will spare to make sure an issue is resolved carefully and resolutely. 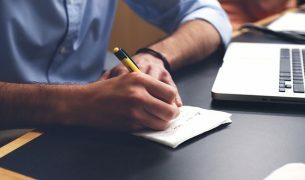 PROTECT YOU AND YOUR CLIENT: WIRE FRAUD IS ON THE RISE Tips to help protect yourself as well as the clients you value: If….. Closing on a house can be a stressful situation in the best of circumstances, but there’s no reason to add that to your list…..
It’s not magic, even though, at times, selling a property may seem like it. 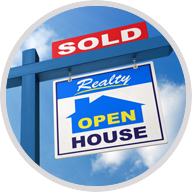 You can indeed market and sell your for-sale-by-owner (FSBO) property….. I have utilized the title services of Mortgagee Title Services, Inc. for almost a decade now and can honestly say that their services far exceed those of other title companies that I have used in the past. Mortgagee Title provides excellent service in every way, and goes above and beyond to ensure that every detail is handled professionally, accurately, and courteously. In my professional and personal opinion, Mortgagee Title Services, in downtown Orlando is the best at their craft. Their professional approach to handling customer needs and timely, courteous follow up is all that one could ask for.